Senior Chris Spagonla's season came to an end on Saturday at the 2010 Region 6 Tournament. Spagnola lost by fall to eventual champion Billy George of Long Branch in the quarterfinal round of the championship bracket and was then eliminated from the tournament in his wrestleback opener by Howell's Joe Melon. Spagnola finished the 2010 season with a record of 23-8 with 10 pins. Senior Chris Spagonla defeated Brick Memorial's Brian McCrossan, 2-1, on Tuesday night to advance to Friday night's quarterfinal round of the Region 6 Tournament where he is scheduled to face top-seeded Billy George of Long Branch. Junior Rob Cigna was defeated, 9-0, by Jackson Memorial's Spencer Young ending his season. For the year, Cigna compiled a 27-4 record and placed 1st at the Walter Woods Tournament and 2nd at District 21. Junior Rob Cigna and senior Chris Spagnola earned medals at Saturday's District 21 Championship and now move on to Tuesday night's opening round of the Region 6 Wrestling Tournament. Cigna will be on the mat against Allan Manzano of Toms River South, while Spagnola is slated to face Brian McCrossan of Brick Memorial. 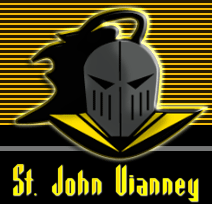 2010 will be an emotional year for St. John Vianney as the Lancers will hit the mats without their teammate, and friend, Danny Falco who passed away this September. Falco, who won 12 matches as a freshman in 2009, was to be a key part of the resurgent Lancer program for the next three years. His teammates and friends have put together several video tributes in his honor which can be viewed by clicking the link above. 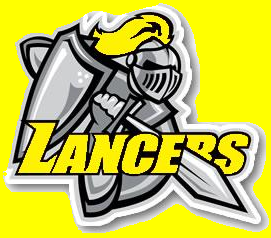 A 10 win team in 2007, the Lancers set a school record in 2009 with 23 victories. They lost 160 individual wins to graduation, but the returners they have had a strong off-season and there are several newcomers that are ready to step in and make an immediate impact. Junior Rob Cigna is the returning wins leader from last season and will anchor a lowerweight group that will feature many new faces including freshman 112-pounder Tim Duffy. The upper half of the lineup is where the Lancers return the bulk of their experience led by seniors Jordan Gilpin and Chris Spagnola (21 wins each in 2009) and sophomore Colton Bigelow, who earned All-American honors this offseason at the NHSCA Nationals. Talented freshman Anthony Ferraro (brother of CBA alum Ollie Ferraro) is another newcomer that can have a big impact in the Lancers' lineup. "Biggie" had about as good a year as you could ask for a freshman wrestling at 189/215 in 2009, picking up 22 wins with 18 of them coming by fall. With a full year of varsity experience under his belt, and a great offseason, look for big things from the sophomore in 2010. It's never easy to replace 160 wins lost to graduation, but the Lancers are clearly looking to show that they are up to the task. They put in the work in the offseason, have a good group back, and have several newcomers looking to pick up the slack. It won't be easy, but SJV will be in contention for the A-Central title in what looks like it will be a tight three way fight between them, Matawan, and Raritan.